LEN - www.lankaenews.com | Gnanassara disgraces the saffron robe by preferring the ‘jumper’ – sentenced to jail ! Gnanassara disgraces the saffron robe by preferring the ‘jumper’ – sentenced to jail ! 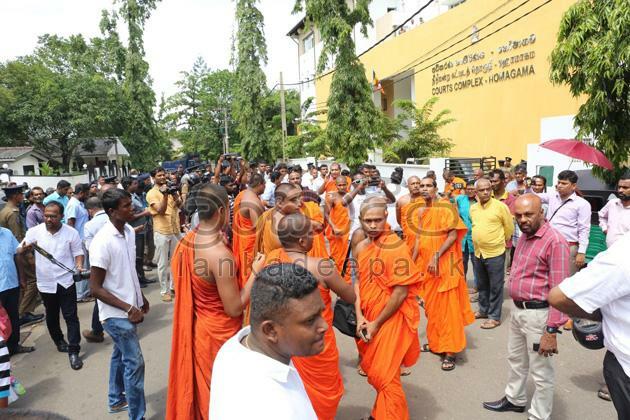 (Lanka e News -15.June.2018, 6.00PM) Galagodaathe Gnanassara the robed hooligan monk who is a disgrace to the true Buddhist teachings , a nuisance to the Buddhist clergy , a menace to decent law abiding society, and was facing charges of criminal harassment under section 386 , and of causing criminal intimidation and fear under section 486 of the Penal code , in the case in which he was charged with abusing and threatening Ms. Sandya Ekneliyagoda within the court premises was sentenced to one year rigorous imprisonment as well as ordered to pay compensation by the chief magistrate , Homagama, Udesh Ranasinghe. The judge delivered a sentence of 6 months R.I. each on the first and second charges , to be served concurrently in six months . He also ordered the accused to pay a fine of Rs. 3000.00 to the government . In addition the judge ordered a payment of Rs. 50,000.00 ( not in installments) as compensation to Ms. Ekneliyagoda , in default of which he will have to serve a further jail sentence of three months. As always Gnanassara was present in court with a group of robed henchmen .. If Gnanassara had tried to act tough within courts as usual there was a likelihood of his punishment turning much more grave . This punishment did him immense good for though it made him sadder it must have made him wiser . The judge also ordered the prison officers to treat Gnanassara in the same way as other prisoners are treated. He also abused her in most filthy language and screamed ‘you go and beg’. Gnanassara did not stop at that. He even berated Sandya’s lawyer Dileep Peiris . Hooligan Gnanassara in his characteristic rowdy style said, ‘I am not scared of state officers.’ Pointing a finger threateningly at judge Dissanayake on the bench ,he screamed ‘ I will not get frightened of kalu suddhas (dark skinned white men)’ . Mind you all this hooliganism of his was displayed within courts and not in the fish market square. 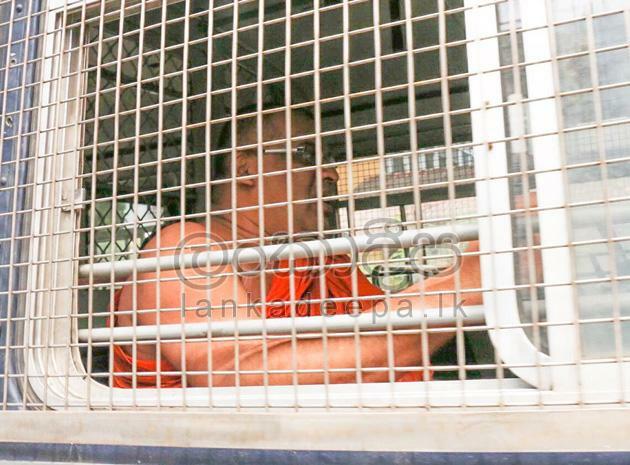 Another case too is in progress in the Colombo appeal court based on charges of committing grave contempt of court against Gnanassara who always treated courts with disrespect . With Gnanassara being allowed to serve and complete a one year jail term in six months in this case , that has deprived him of a similar relief being granted in the contempt of court case that is currently being heard against Gnanassara ..
Gnanassara may file an appeal against this verdict in a higher court . In that event while that appeal is on going and until a decision is delivered in that regard, he is eligible to request bail . 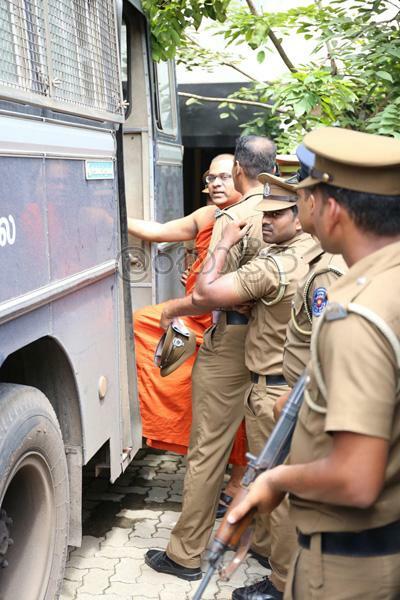 A most remarkable feature in this case is , the court in Sri Lanka getting an opportunity to punish a rascally hooligan monk Gnanassara who is a disgrace to Buddhism despite wearing the sacred saffron robe. The judge must be admired for trying to reform a most incorrigible robed monk when politicians were encouraging his rowdy conduct to achieve their selfish agendas , and temples too could not save him from the road to perdition along which he was fast hurtling down. Sly shameless moves to deliver suspended sentence on incorrigible debauched Gnanassara ! Whither laws ? 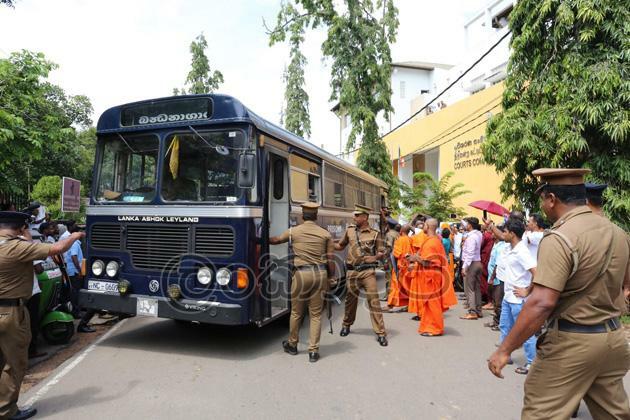 Gnanassara the debauched rascally monk found guilty by court ! Sentence on 14 th. We are unable to continue LeN without your kind donation.